Zakopane in Polish means buried. Why? Because this town of Zakopane in Poland is literally buried in snow during the winter! But trust us: it’s a great place to visit all year round. The capital of the Polish Tatra Mountains is great for hiking, skiing and simply relaxing. Whether you take a day off in your hotel Zakopane, hike in the mountains or visit Aquapark Zakopane, you are sure to be impressed. Zakopane is only 6 hour driving away from the capital of Poland, Warsaw. 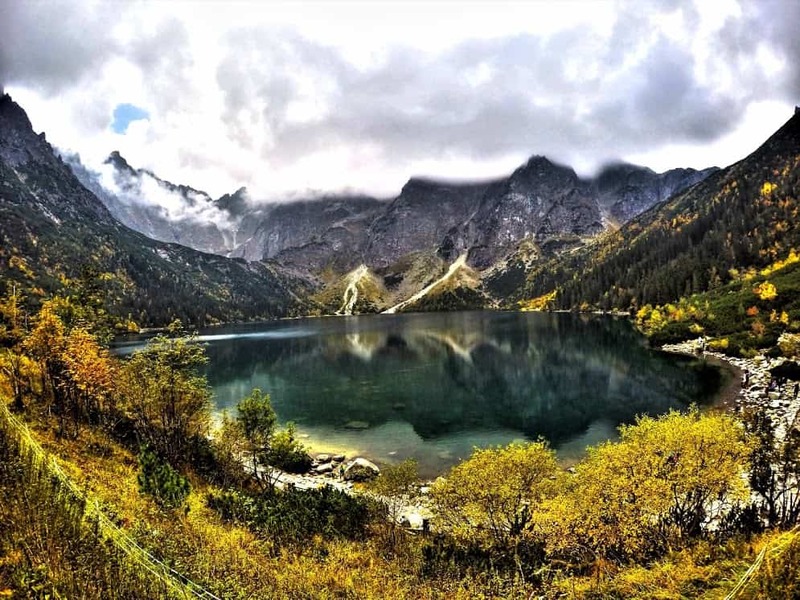 Krakow to Zakopane provides the easiest route from a major Polish city: the town is located only 1,5 hour driving from Krakow. You can either get there by car or book a tour with a private driver. There are many buses from almost every city in Poland to Tatry, Krakow to Zakopane train is a reliable option as well. Whatever transportation you choose, it’s easy to get there because it’s a very popular tourist destination. Check out this post for more transportation information in Poland. 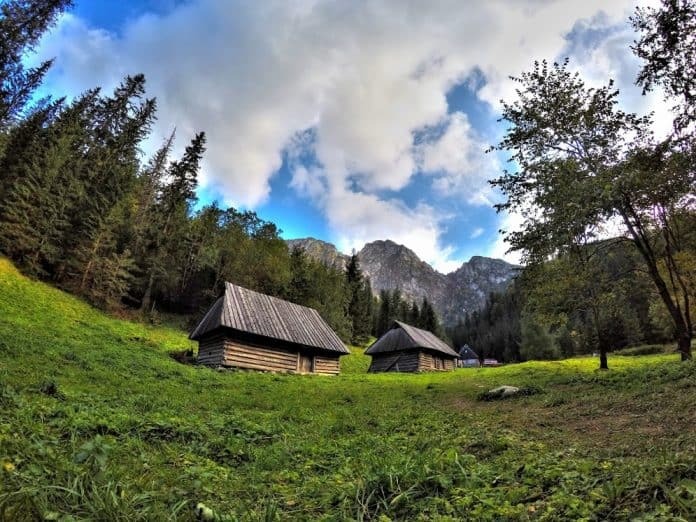 In this post we present you with the best travel tips for visiting Zakopane. There is a reason we included Poland on our list of 12 epic places, and Zakopane is no exception. Everyone will find something for themselves here. Below, you’ll find a list of the top tourist attractions in the Polish Tatra Mountains. The weather in Zakopane is mostly cold, so bring a jacket no matter what you do! If you love winter sports, we especially recommend that when you come to Zakopane ski your heart out! Gubałówka is a very easy mountain to climb. You can get hike up to the top or buy a ticket for a gondola lift. You’ll get to Gubalowka directly from Krupowki (the main street) in Zakopane, winter capital of Poland. Skip the lines and book your tour to Gubalowka online. Morskie Oko has been recognized as one of the most beautiful lakes in the world by The Wall Street Journal. It’s very easy to get to the top. There’s an asphalt road leading directly to the lake. You can either hike up or take a ride by a horse-drawn carriage. Click here to read more. All of these peaks in the mountain range are located above Morskie Oko. 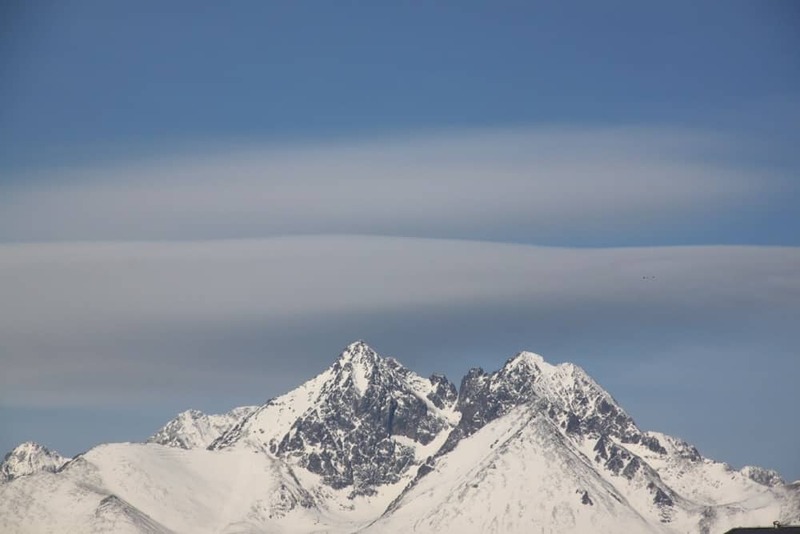 Rysy is the highest peak in Poland. Don’t go there if you are not fit enough! The ascent is really difficult and dangerous. Remember that there’s snow in the Tatra Mountains even in the summer. Dress properly. Nevertheless, a visit there is worth it. Views from the top are absolutely breathtaking! Kasprowy Wierch is a great mountain for hiking. If you don’t like to get tired, you can use a cable car to reach the top. In the winter, this is definitely the best place for snowboarding and skiing in Zakopane! Skip the lines and book your day trip to Zakopane & Kasprowy Wierch online. Giewont is located above Kasprowy Wierch. It’s not easy to hike there, but views are really great! From Kasprowy Wierch to Giewont, you’ll reach the summit in 2 hours. Afterwards, you’ll miss the comfort of the Zakopane hotels and want to curl up with hot chocolate, which we whole heartedly recommend. If you want to ski Zakopane but are too much of a beginner to ski down Kasprowy Wierch, Nosal Ski Center is the place for you. Its gentle slope ensure that a novice will succeed and have fun. Even though this is a milder mountain, the weather Zakopane means that it will still be cold! Dolina Chocholowska is the biggest and longest valley in the Tatra mountains. It’s 6 miles long and very easy to walk. To get there, take a bus from Zakopane, winter capital of Poland, to Siwa Polana. You’ll find the beginning of the hiking trail. Skip the lines and book your day trip to Zakopane & Dolina Chocholowska online. This is the shortest valley, located in the Zakopane. Go to Strążyska street to find the beginning of the hiking trail. Dolina Strazyska is only 2 miles long. This is the most popular valley in the Tatra Mountains. It’s about 4 miles long. The beginning of the hiking trail is in Kuźnice. Take a bus from Zakopane to get there. This is the most beautiful valley in the Tatra Mountains. It’s 6 miles long. Take a bus from Zakopane to Kira to find the beginning of the hiking trail. 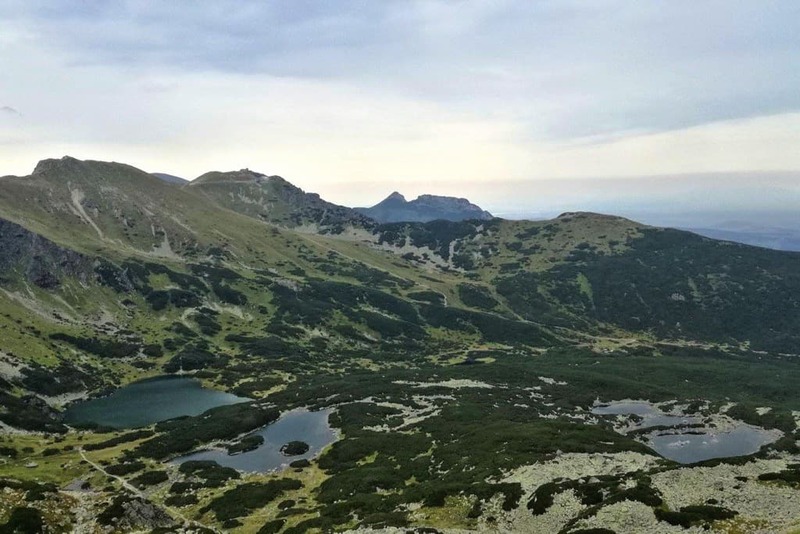 Travel tip: Remember that all mountains and valleys in the Tatra Mountains are connected. You can mix hiking trails and achieve several goals at once. 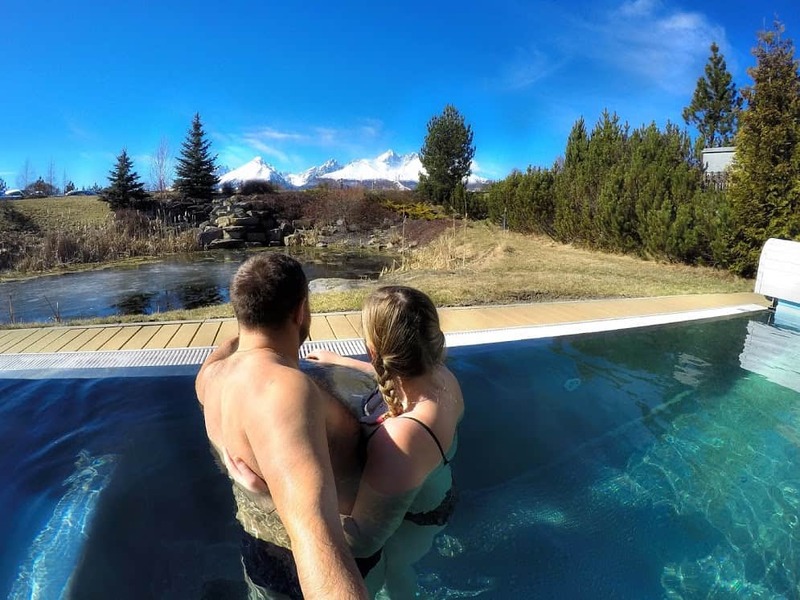 It’s great to relax in a natural pool and watch beautiful the Tatra Mountains. The best time to go there is winter. Since weather in Zakopane is so cold, sitting in a heated water feels so incredible. Save your time and book a tour to Bialka Tatrzanska online! This is very similar to Terma Bania. Both thermal spas are very close to Zakopane and you can get to both by bus. 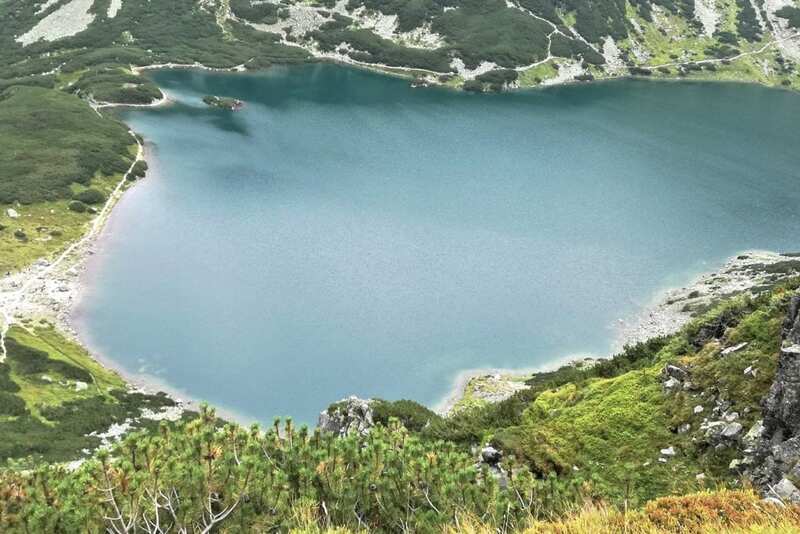 If you love nature, these natural pools are better choices than Aquapark Zakopane! Save your time and book a tour to Terma Bukovina online! So much fun! Tatralandia is in Liptowski Mikulasz at the Poland-Slovakia border. If you’re feeling adventurous, we recommend you venture out of your hotel in Zakopane and come to this attraction. It’s a great place for families with children: it has many water slides, spouts and other attractions. We love going to Aquapark Zakopane when we want a fun, easy day after spending so much time hiking. Slovakia is only 13 miles from Zakopane. This makes it a great gateway to explore another country and hike on the Slovakian side of the Tatra Mountains. Zakopane in Poland provides access to one side of the mountains, but there is another world to discover on the other side! Krakow to Zakopane bus takes a little over two hours, and you can take local buses on either side of the border to reach your destination in Slovakia (and even beyond). You can also take the train between Krakow Zakopane, which takes about three hours, and then use bus service to cross into Slovakia. Even if you love Slovakia, make sure you come back and visit the other beautiful places of Poland! Book the best tour from Krakow to Slovakia and Zakopane. What are the best things to do Zakopane besides be in nature? Let us introduce you to Krupowki, the most famous street in Zakopane, winter capital of Poland. On this street alone, you will find there many shops, pubs and tourist attractions. Celebrate one of our holidays here, or just find yourself cruising around the street. Don’t forget to eat the best Polish cheese, oscypek, with cranberries. 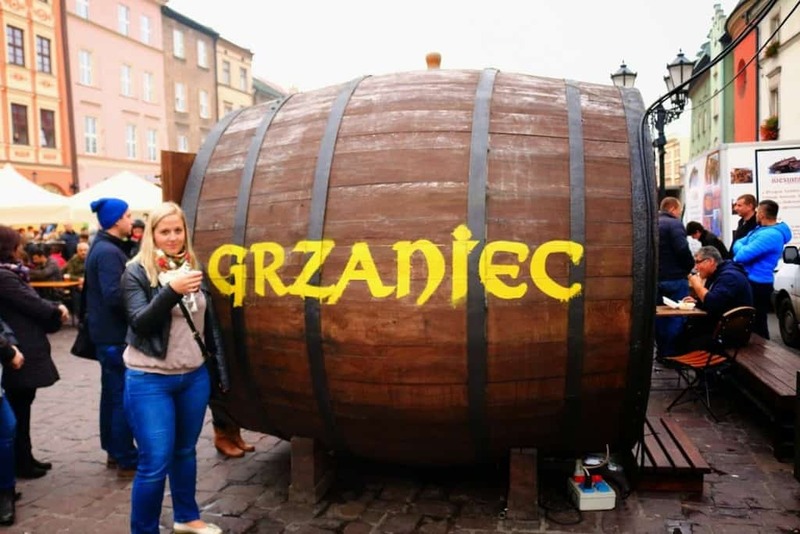 If it’s cold outside, drink Grzaniec Galicyjski, or hot Polish wine. It is just delicious! It’s our favourite liquor. Visiting Zakopane in Poland is not complete without a taste of this amazing drink. The weather in Zakopane can be freezing, so after a day of hiking or skiing, sometimes it’s just nice to curl up in bed! You will find plenty of hotels, hostels and villas in Zakopane. We stayed at the luxurious Villa Gorsky. It was absolutely gorgeous! The house is huge and it was perfect for us and our family. Even though we were a group of 15 people, we had plenty of space. The villa is situated in Poronin. 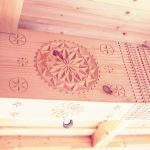 We really like its location – it’s close enough to Zakopane and still far from the hustle and bustle of Krupowki. Accommodation Zakopane is easy to find. Whether you’re looking to settle in a luxurious suite or are searching for an Airbnb Zakopane, this is the winter capital of Poland, so there are plenty of options to choose from. A hotel Zakopane can make for a more comfortable stay, but a hostel can make your trip affordable if you’re on a budget. Whatever type of accommodation in Zakopane you prefer, we recommend that you at least choose someplace cosy and relaxing – it will make your stay unforgettable. Our living room is a perfect place to relax! If you are traveling in a smaller group, check out Maki Dome Regionalne. They are located in the neighborhood of Zakopane, so it’s the best option for those of you who travel by car. We spent our 1st wedding anniversary there and it was great! If you don’t have a car and prefer to stay closer to Krupowki, check out Alpini Apartamenty. We stayed there once and absolutely loved it! The prices are reasonable and they are located within the walking distance to the town centre. 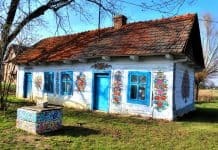 If you are traveling on a budget, check out Hostel 1902 and Apartamenty Krupowki 35. 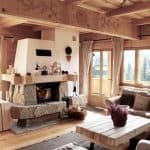 Check out Airbnb to book the best apartments in Zakopane. After you go hiking in Zakopane, you deserve an amazing meal! Zakopane restaurants don’t disappoint. 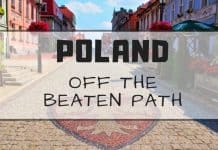 Have an amazing meal in this city and ponder over all the things that make Poles so unique! There are so many great places to eat in Zakopane. If you are traveling on a budget, go to Bistro Grota. You can have a meal there for as cheap as 5-15 zloty. To try the best local food (with live music in the evening) go to Siuchajsko on Krzeptowki. This restaurant is really awesome! 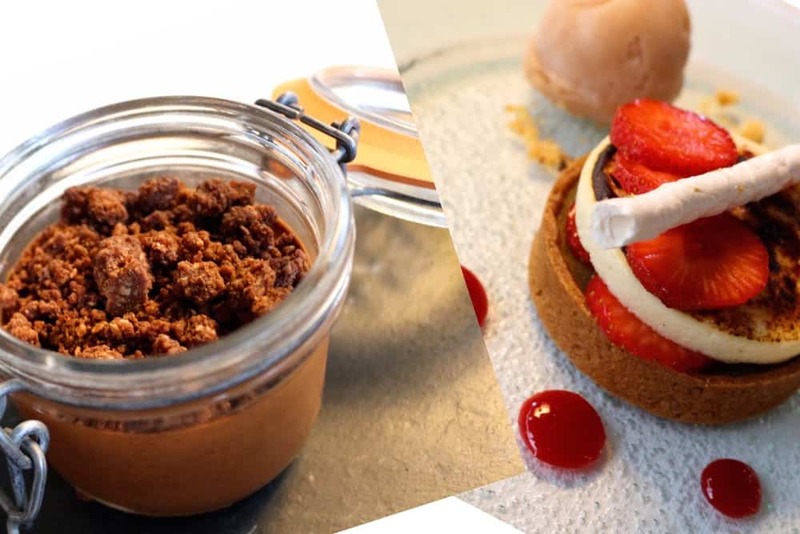 Our favourite patisserie is Coctail Bar Jagoda. It has amazing desserts, ice-creams, cafes, cakes, fruits, pancakes and more. Yummy! If you love food as much as we do, make sure your apartment or hotel Zakopane is located nearby the main street with the best restaurants. Zakopane Poland is one of our favourite cities in our home country. 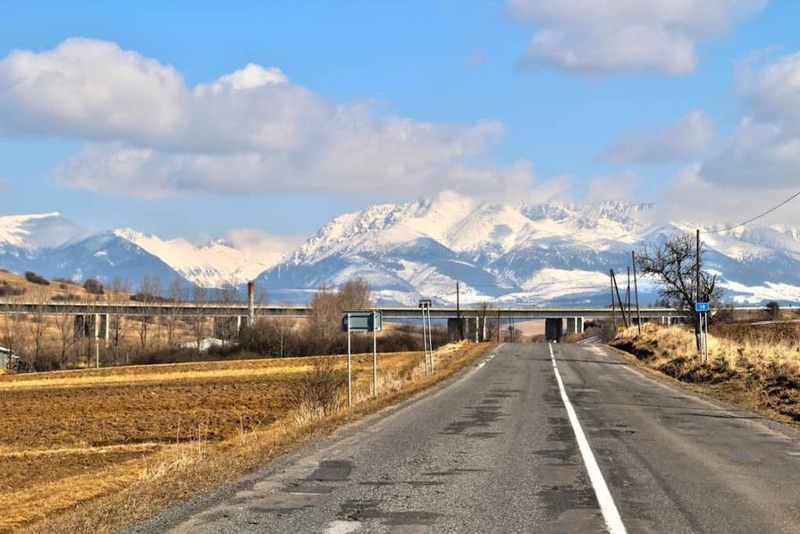 Going from Krakow to Zakopane by bus makes the trip so easy, so I hope you’ll take advantage of either your car, the bus, or the train Krakow Zakopane and stop by for a visit! 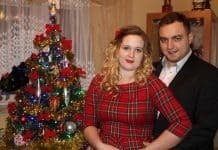 You might find that you love Poland so much, you even want to stay for Christmas. Disclosure: We want to thank Villa Gorsky for a complimentary stay. All opinions presented in this post are honest and our own. Nice post. I hope to get there next year! Looks like an interesting Hill-station to give a visit. Any food specialties there? Oscypki with cranberries are a must try! Zakopane sounds like the real deal. Nice article, easy to read does not hit one in the face with blocks of text. Honestly, blogs like this one are the only way some of us get to travel, anyway. Keep up the nice job. Great Post! Zakopane is a beautiful town in Poland. It’s a popular departure point for winter sports and summertime mountain climbing and hiking. May be I’ll visit there soon. Move over Krakow! Zacopane looks like the next must see in Poland – Awesome article guys, and thanks for sharing your adventure! 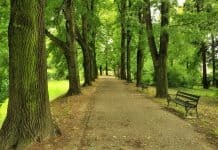 Wow the photos are breath taking and i think this is probably the perfect place to go if you want to get lost in your thoughts or just be inspired.